I am back from 9 days sun, fun, and food filled cruise vacation to South Caribbean (Dominican Republic, British Virgin Island, Antigua, Barbados, and St. Lucia) on Norwegian Cruise Line/NCL–which coincidentally is owned by Malaysian Star Cruise. What a blast! I like to think of myself as a tasteful traveler, hence I have always felt skeptical about cruising. The notion of being with a shipload of 65 years olds and their horde of families who jam swimming pools and Jacuzzis while live band plays Kokomo in the background are not my definition of a great vacation. And oh, let’s not forget about being fed 24/7 with really crappy “international” buffet. Cruising was never high on my travel wishlist but I decided to give it a shot after strong recommendations from my neighbor who recently celebrated their honeymoon on Norwegian Cruise Line. I am glad I did. This virgin voyage of mine has since changed my perception—and skepticism—about cruising. Cruising is actually not half bad. For starters, there are lots of things to do on board: gym, shows, ping pong, ball games, karaoke, gambling, even attending Photoshop classes! Cruising is also great for people who can’t afford a lot of holidays but wanted to maximize each vacation with more places to see. I liked the cruise and thoroughly enjoyed the foods served on board (read: I have packed on pounds) due to my binge eating on the cruise. The biggest selling point of Norwegian Cruise Line is “freestyle cruising.” Put simply, it means there is no fixed dining time onboard and you can eat anytime, anywhere, and as many times as you want, free. There are 13 restaurants on the ship but only one serves buffet (click here to see the decadent desserts), the rest are sit-down restaurants with real menus. At the main dining room, the menu even changes daily!—a result of the collaboration between NCL and Cooking Light. There are also specialty restaurants such as French, Asian, and Steak House. In these specialty restaurants, you pay a small cover charge (average $10-$20 person for dinner, but 50% off after 9 pm) and you get really delicious food and more attentive service. The foods served on Norwegian Cruise Line are by no means gourmet food or 5-star worthy, but they are good, considering the fact that they are cruise food. And get this: in any of the sit-down restaurants on NCL, you can order multiple items on the menu from each category if you want; 2 appetizers, 2 soups/salad, 2 entrees, 3 desserts, sure, why not?! All you have to do is ask. Case-in-point: one night I requested an extra lobster tail for my main entrée and the waiter brought me two! Now, that’s what I call “Exceed Expectations” on my customer satisfaction card! I only have one advice to give: if you are a foodie, you might want to book your next cruise on NCL, the only caveat is I can’t guarantee you will maintain your current waistline. 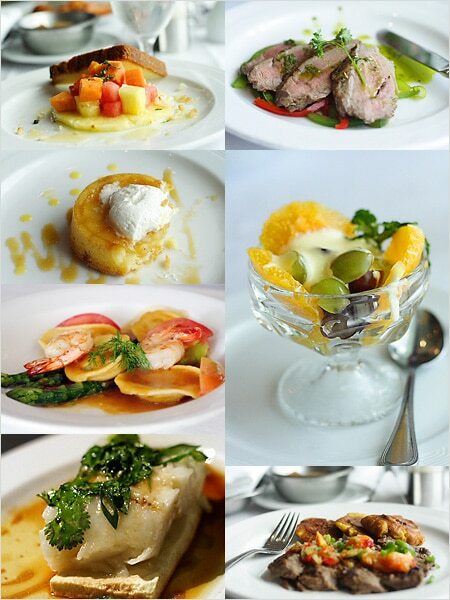 wow, the photography is excellanto … I’m salivating although I just had lunch, keke. I haven’t been on a cruise before and now I definitely want to! Heee…I think I fit into those crappy buffet category too! I’m more of a hungry traveler. :P The only cruise I’ve been to is the Star Cruise. 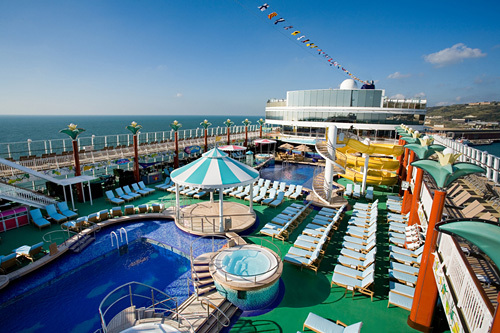 I’m going on an NCL cruise in May so your post couldn’t have better timing! Thanks! Wow, very impressive. Perhaps I too should try a cruise. Can I ask what nationality the staff was? Norwegian? Malaysian? Something else? I’m confused about the freestyle cruise concept. I’ve gone on many cruises, a few Carnival and a lot of Royal Carribbean, and while there are fixed meals in the formal dining room, you can still eat at other places on the ship whenever you want. A lot of the new RC ships even have a 24-hour pastry shop! I like the formal dining room because you have the same wait staff every time, and by the end of the cruise they are like your best friends. We are always sad to leave them! And you can still order multiple desserts, entrees, appetizers, etc. If you feel like throwing money away, they also have restaurants where you pay $10-20, though I could never understand why someone would do that. I’ll admit, I’m not the type to normally go out for $100 dinners, so maybe I don’t know what 5-star dining tastes like, but some of the best food I’ve ever eaten has been in the dining room of a cruise ship. Then there’s the casual buffets, midnight buffets, pizza shop, pastry shop, etc. that satisfy other eating needs. And you don’t have to eat in the dining room if you don’t want to. So what’s the appeal of the freestyle cruise? hey ur photos are lovely ok? home or away! Can you please post where we can get the A1 curry packets in the US or internet. Thanks. wooo.. all those food look so delicious.. being so experienced with food is very nice right? I never taste the foreign food, still didn’t have opportunity until this day. Sounds fabulous! Oh I so need a vacation! Mocha – international buffet is good the first couple of times, but after that, it gets old and boring pretty quickly. Terri – no studio…LOL. Natural sunlight is as good or greater than studio, I think. J – awesome, where are you going to? Cafechimp – there are 64 nationalities of crew onboard, it’s very amazing. There are people from all over the world, but the majority are probably from the Philippines. Everyone is sooooo nice. Mandy – yeah, or just go to the gym on the ship after you eat all those foods, just so to eat more. LOL. Ragini – they are not available in the US or the internet. Sorry. wow! awesome! holiday and food! you are very lucky, BY, to have this opportunity of such a lovely cruise holiday. glad that you enjoyed yourself very much. Glad to hear a cruise is not bad at all. I too had reservations about cruising with a ship load of noisy families and bad buffets. The pleasure was all ours. Perhaps when next you come back to B’dos it could be for a longer visit. Please share the love with the hubby. I am interested to take the cruise as well. Anyone know the Norwegian cruise agency’s contact? say 90% of the time. I had the most delectable lemon truffle type tiny desert at the French Restaurant/continental food on the NCL Gem in Dec. 07 and would love to have the recipe……..thanx. 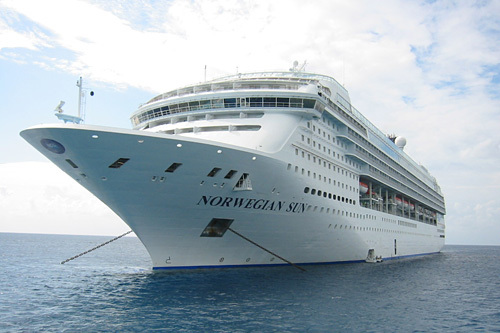 Hi, how did you book your cruise with NCL? Online or via agent? And which agent? Am based here in Malaysia and am very interested with their Europe cruise.